I am a licensed Marriage & Family Therapist who provides therapy based on each's life, history, and needs. I tailor my interventions to meet the client with what is happening within the client's life. I hold the therapeutic relationship with the utmost importance as we work together. When life has become too stressful, change may not be as difficult as you may think. If you are ready to make the changes necessary so that your life has hope, balance, health, and peace, then I may be able to help you reach your goal. Change happens when you feel supported, and you feel confident. In therapy, I work with you, within a relationship that is built on trust, empathy, guidance, competence, honest communication, and interventions designed for your individual needs. 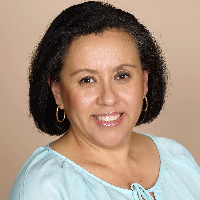 Would you like to write a review for Patricia Rayas Tabares? We'd appreciate if you can spend a couple of minutes to write a short review for Patricia Rayas Tabares (LMFT). This review would be shared with Patricia Rayas Tabares. It may also be posted in our website or in Patricia Rayas Tabares's profile but it would be anonymous and your identity would be kept completely confidential.